Last Friday Night was the gym ladies Christmas party. Pictured above are the ladies that remained, (a few had already left). It was the largest turnout we have had thus far. Once again the start time was 7 p.m. I left the house just after 7:30, thinking holiday traffic would be crazy, which it was. I was the second person to arrive! They began to slowly trickle in after 8 p.m.
Planning a party here is kind of crazy. The host starts by picking a date and a rough time. Then throws it out there, to see if there is interest. Then come the boat load of texts about food and other such details. I was otherwise occupied during the initial start of this. When I looked at my phone I had 250 messages!! That said, it happened; there was lots of food, beverage and desserts. People came on the date set, and more or less at the time set. By Mexican standards, on time. End time is always another issue. When does a party end? I usually am in the first round of those leaving. When I asked how long people stayed? The die hards usually last till 3 a.m. They chose to do a Karaoke night again. They just love that. They all sign up early so they get a chance to sing. I don't sign up and end up in the first round of singers! I am glad I know one song well, and they are teaching me new ones so I can sing along. What always shocks me is how unnecessary it is to know how to sing! They love it! They are not embarrassed. It is just a good time. A lot of the songs everybody knows and joins in. Everybody is laughing, singing, and dancing. It is good clean fun. As I said, this was the first party... the same host is throwing another one, but a breakfast one, for a more intimate group. You see, the group pictured at the top is several groups mixed together. So, this Friday, a section of that group is having a breakfast Christmas party. Then the other half of that group is having their breakfast party. Where I had hoped that it would be just one party, all the groups together - nope. It just turned into 3 instead of two. Oh well, tis the season... for friends and family. For relationships. 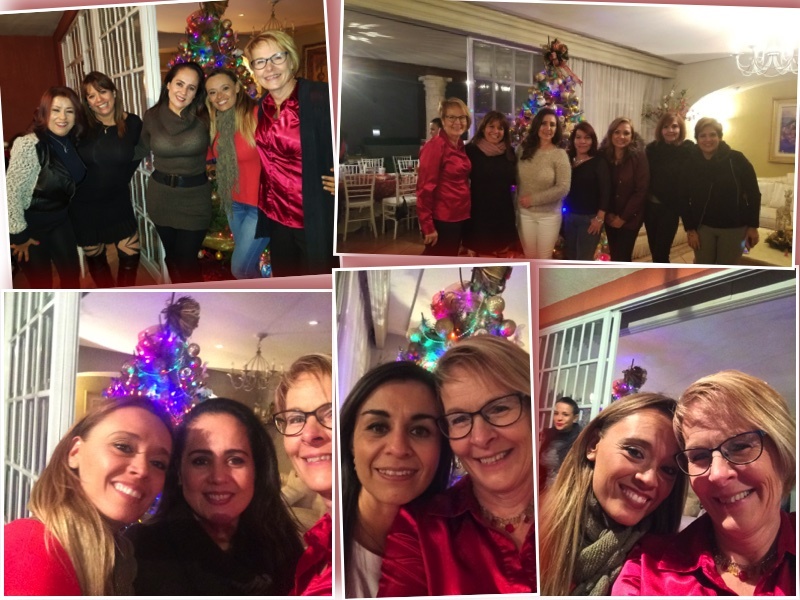 Thanks for sharing your christmas party experience and it is not just a party but also for ladies a good chance to have a get together. But what i liked that they had experienced the new things too.